Lucy knew Daniel was the man of her dreams. She didn’t know he was also writing them. 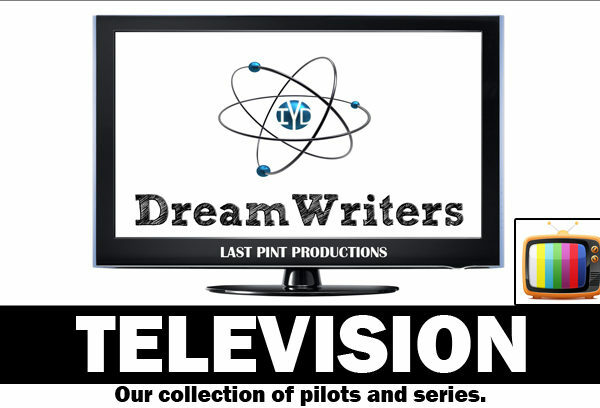 Check out DreamWriters, and hourlong sci-fi dramedy created by Benjamin Wilson and Matt Schenk. Envisioned as a weekly serialized series, you’ll be introduced to IYD, In Your Dreams Incorporated, where dreams are literally created. You can read a brief synopsis, our treatment, or the entire pilot which garnered praise (and semi finals placement) in Storyboard TV’s pilot competition. If you want more, be sure to check out the tease of our Season 1 Finale.